I’ve signed up for a lesson next Monday – trainer is coming back from Florida for a little while and we’re doing a sort of clinic. 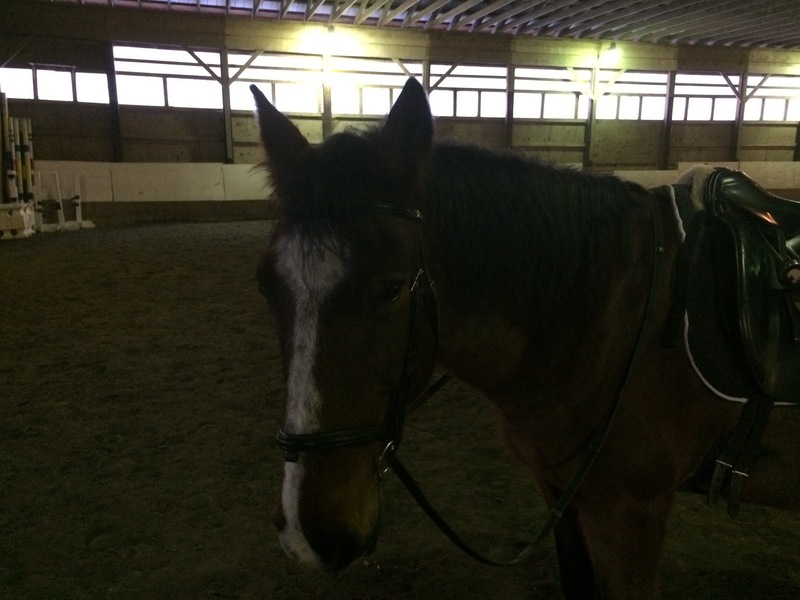 So I threw my hat into the ring, which means that after a week and a half off from death flu, I had to get back into the saddle with a vengeance and tune him up so we could get through a lesson. 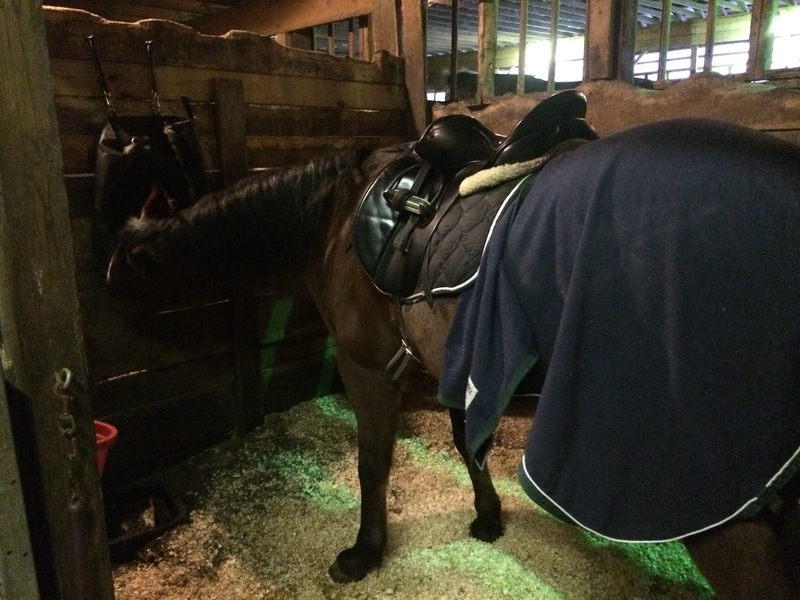 The bad news: I put my stirrups back on the saddle because I figured I would not get the most I could out of the lesson if I was riding without stirrups. My posting was…not great, after 6 weeks out of practice. On the other, other hand, I did get a re-confirmation of something I’ve been working hard on, which is keeping my hands still while posting. It seems stupid to even report this as a thing I’m working on. At a certain point in your riding education, you are supposed to have an independent seat. And you keep your hands still. Well, I definitely have an independent seat, but I have always struggled with true fluidity in my elbows. One of the first things that R. called me on about my riding was that when I posted, I didn’t truly flex my elbows, and as a result my hands bobbed a little bit as I posted. 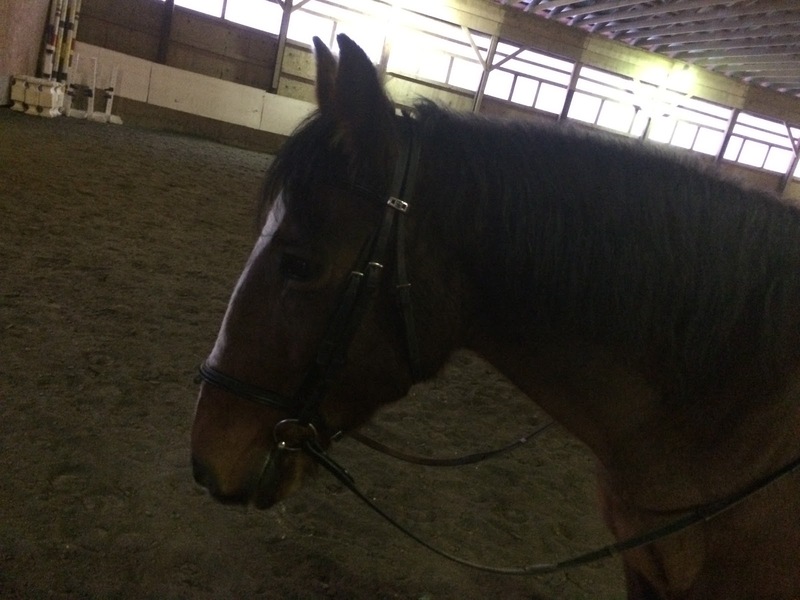 She worked hard on me to really understand that, and like magic, when I truly flexed my elbows and my hands stayed still and Tristan got instantly more secure in the bridle. I’ve ridden with a lot of trainers, and not a single one of them has ever said anything about my hands. Clinicians get a pass, but not my regular trainers. So I worked on my elbows a lot while re-learning posting, in anticipation of R. calling me on them again next Monday. Which meant we also worked on keeping Tristan steady in contact, which was a much-needed thing (as always). I’ll keep him on a fairly busy schedule this week, then update his clip and do a light ride on Sunday, and we’ll see how Monday goes! i mean…. i STILL don't have an independent seat, or particularly fluid elbows lol. these are not things that kinda incidentally just *happen* over time, they have to be carefully cultivated with practice (unless you're one of those super naturally gifted riders in which case i hate you haha). so. yea. i'm with ya in the 'still learning' boat!!! exciting about the lesson tho! in my opinion, the second you stop thinking you need to work on something, anything, is the moment to hang up your helmet and stop riding. It is only fair to the horse if we are constantly finding ways to support her/him better and help them get into balance. And that ALWAYS starts with our position. Which can ALWAYS ALWAYS be better. I hope that you have a great clinic! I'm decent at moving the arms back and forth, but flexing my elbows up and down is hard! I agree with Emma. I'd be happy if I had an independent seat, I don't. Also things like fluid elbows and an independent seat aren't something that you learn once and then have forever, for most of us we may have them at one point and then lose them once we start focusing on something else, it's a constant work in progress and that's okay.